Food | Infinitely yours... Korea. What on earth will I eat ? If that doesn’t sound like fun, spice it up by having a special diet. I, for example, do not eat meat. Bulgogi (Korean barbecue), Galbi (grilled spicy pork ribs), Mandoo (steamed dumplings) and quite a few others, are typical Korean food that I couldn’t try. Meat being really popular, it was always kind of a quest to find a restaurant with a vegetarian offer. 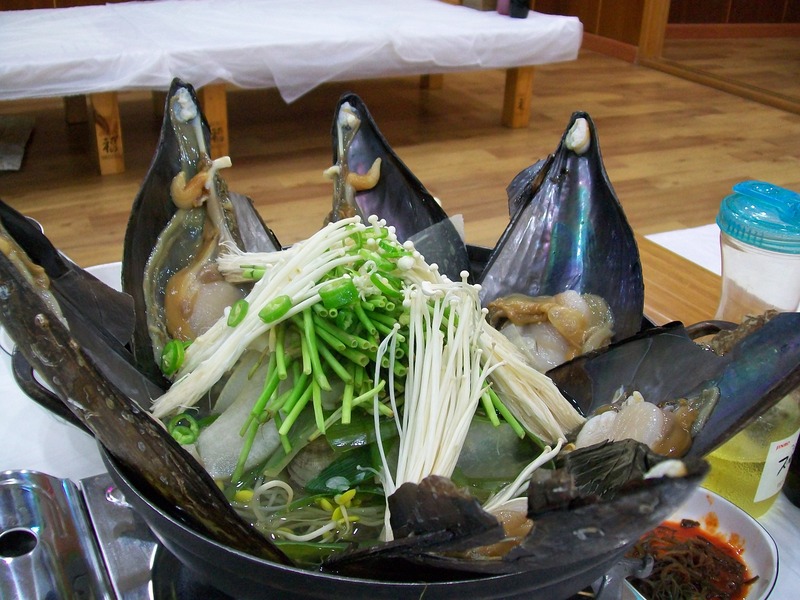 Of course, seafood is also widely available in the peninsula, and that’s what we’re going to talk about. Is the food expensive ? In Seoul we never had a dinner that costed more than 15€ per person. And that was expensive. Most of the times you can eat for less than 10 000₩ (less than 6,30€) and we’re talking restaurant here, not Burger King. You may be asking: “But what did you eat ???”. Aaah… now, that’s a good question. But before getting into the meaty stuff (or fishy, rather), let’s get a few things out of the way. When you order in Korea, or in a Korean restaurant, you always get a demi dozen of side dishes that you didn’t ask for. That’s part of the traditional Korean hospitality. 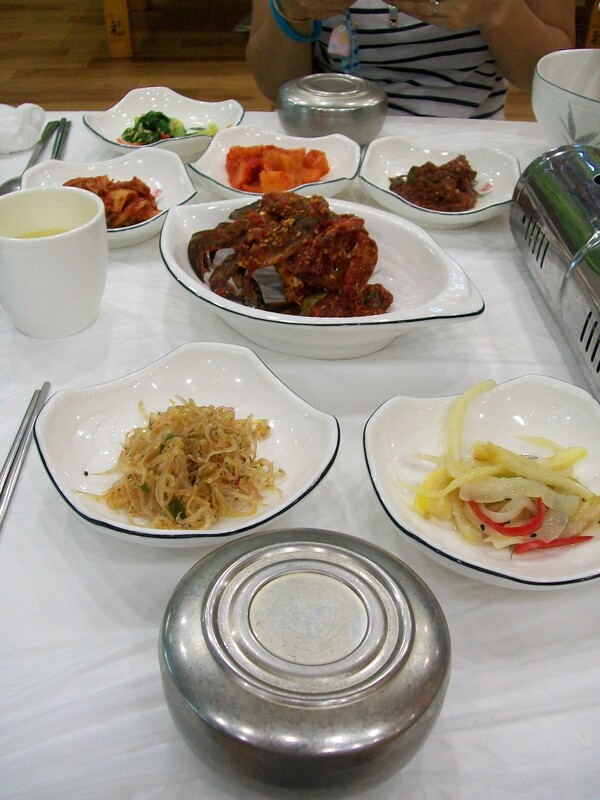 Among those little dishes, there is at least one type of kimchi. It’s a national dish, and most Koreans can’t even fathom a meal without kimchi. Here’s a little video to show you what it’s all about. We”ll come back to Kimchi later on. First and foremost: Noodles ! 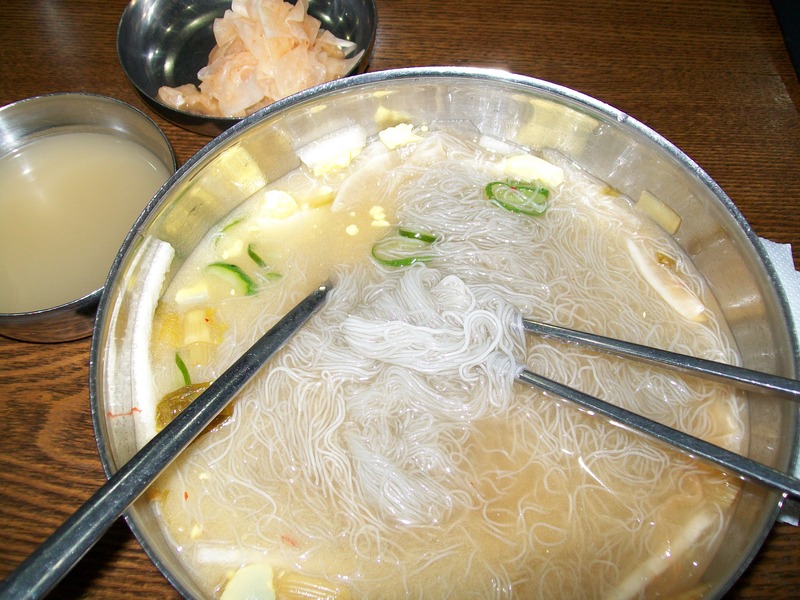 Here’s a list of noodle dishes. Really inexpensive and tasty, sometimes really spicy >_<, sometimes cold and chewy, made of rice flour, potato flour, wheat, buckwheat, green tea, served hot or icy, with or without broth, with meat or fish…. you name it ! My absolute favourite Korean food is also the cheapest one. 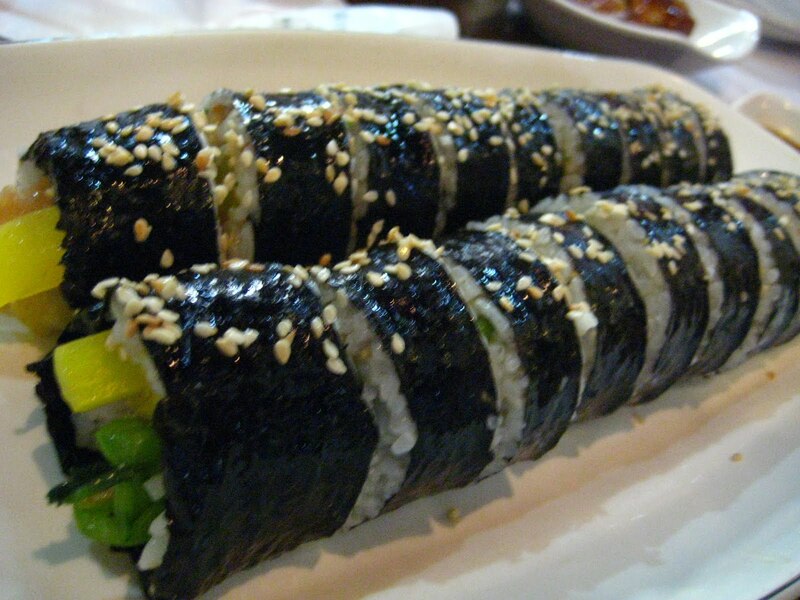 A cousin of the maki sushi, it has a very different taste. It can contain almost anything, including kimchi, and can be bought in convenience stores (wrapped like a chocolate bar) or made in front of you, by a skilled ajhuma, in a matter of seconds. Healthy, cheap, filling and tasty ! What else ? 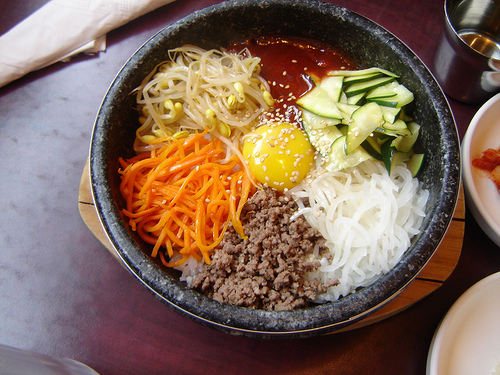 Another famous dish is Bibimbap. A bowl of rice topped with vegetables, egg, meat and spicy sauce. It has a non meat version, but we stumbled upon a very interesting twist of this classic dish. 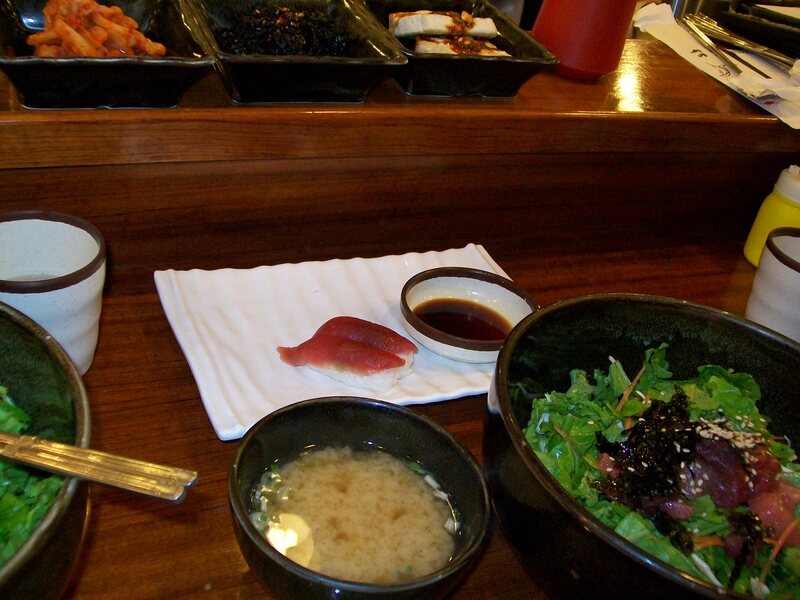 The rice was topped with lettuce, dressing and raw fish. Kind of a sashimi taste. Absolutely brilliant ! 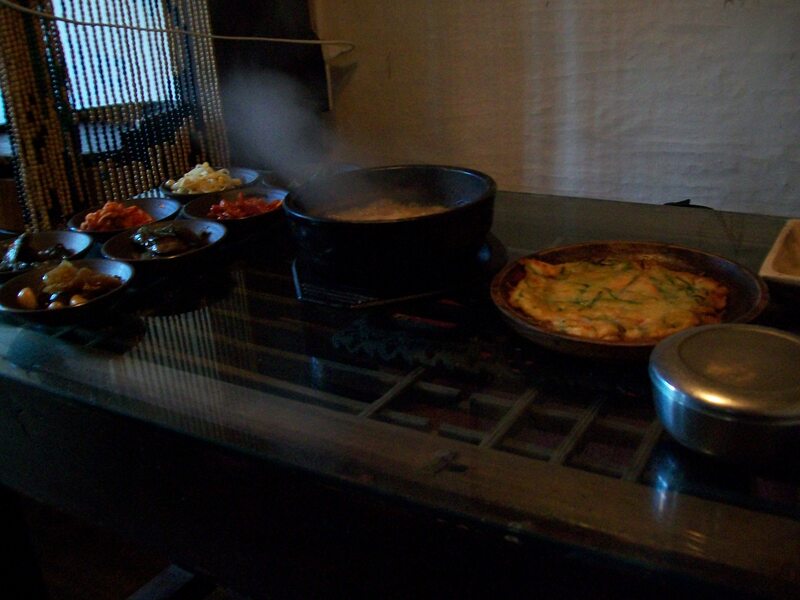 It was one of our cheapest meal in Seoul, 5000₩ if I remember correctly, but also one of the most delicious. It would take too long to through all the things we ate. Let’s just review our most expensive meal in Korea. That was in Yulpo, a small town (village ?) on the south coast of the peninsula. Those giant mussels were absolutely HUGE ! Once cooked, they looked and tasted a lot like scallops (coquilles Saint Jacques). The stew was nice with lots of vegetables and other shells, but most of the side dishes were just soooo spicy ! 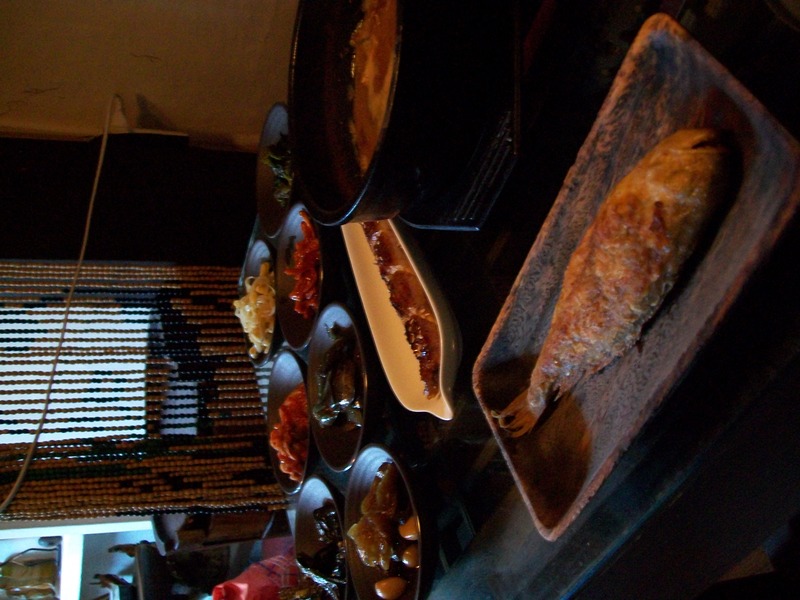 In Insadong, we found a lovely traditional restaurant that serves absolutely brilliant food for a very affordable price. The waiter did ask us about 4 times if I could eat fish, eggs, seafood etc. I made his life a bit complicated that day, but he was really welcoming and nice. 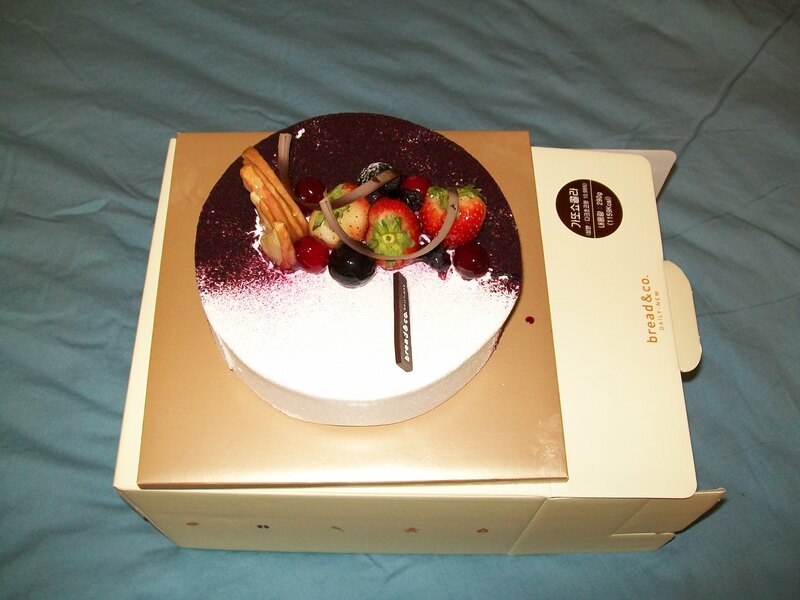 But Koreans also know how to make cakes. Here’s my birthday cake for example. 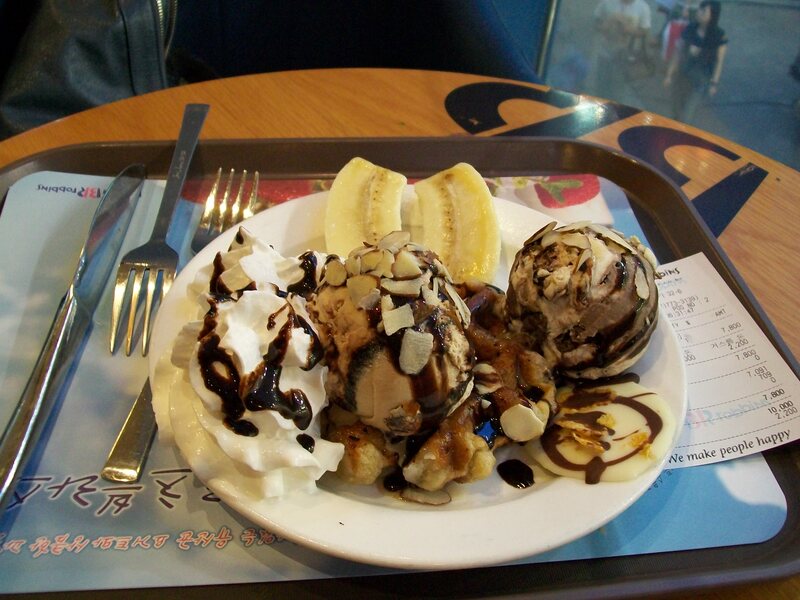 And their ice creams are just the best ever !! !